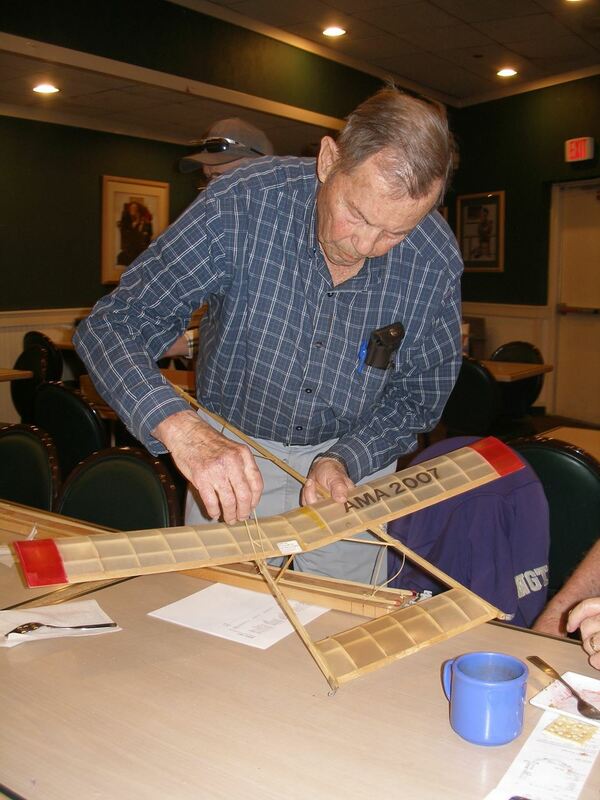 Hank Cole showed up at our OCD meeting held on April 20th. 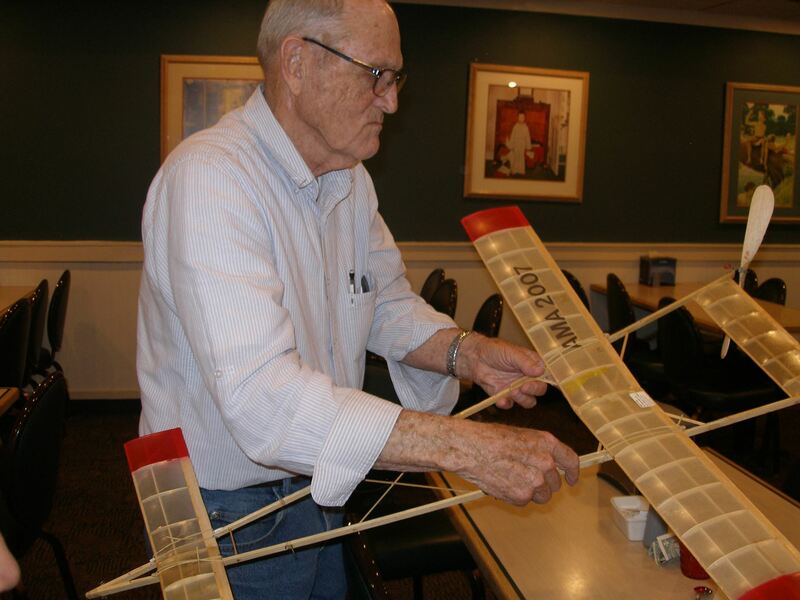 His "show and tell" included the Burnham Twin Pusher he built after being prodded by Mik Mikkelson to fly the event. 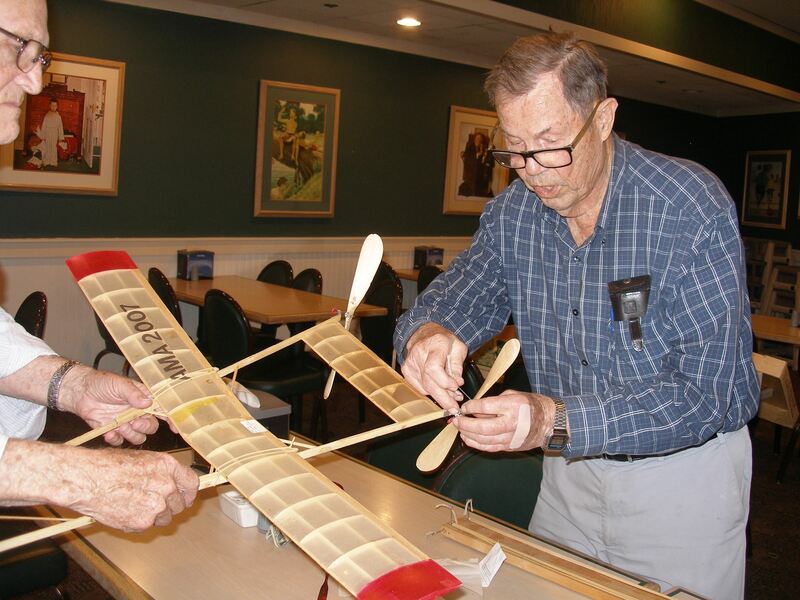 Mik sent him plans and Hank realized he had less than a week to get it built and ready to fly. He wound up winning the Mass Fly-Off event. 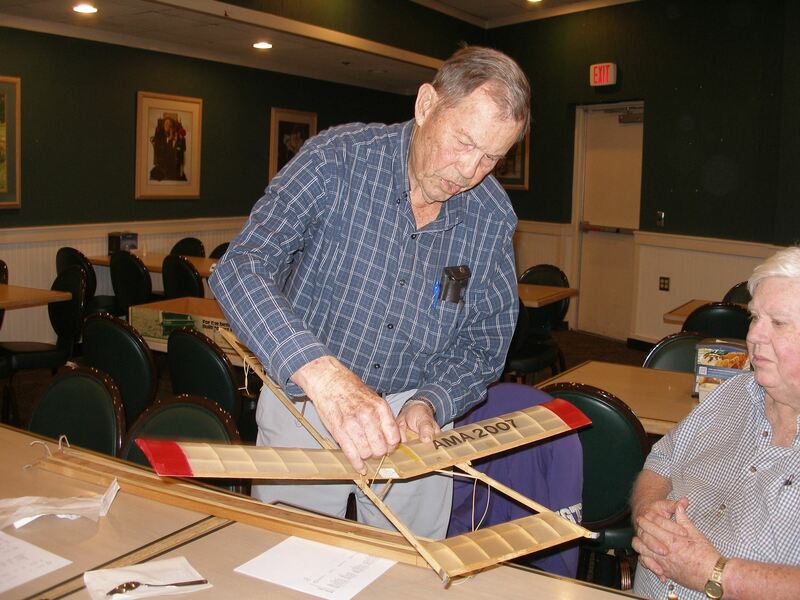 Harold Davidson decided to attend this meeting to have the opportunity to talk with Hank about his efforts to build the "Cirrus Cruiser" that Hank designed back in the Forties, and described in Hank's book, "The Fascination of Flight" (currently available through the National Free Flight Society).